Whether it’s Japanese, German, or European-designed, your foreign car has intricacies that might not be understood by just any mechanic. In fact, some auto repair shops might not accept foreign vehicles at all. And if they do, they might be winging repairs more than they care to admit. But not at Steve’s Imports. 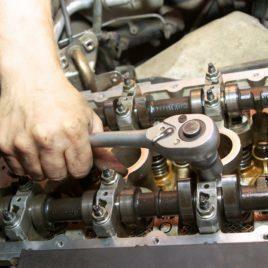 Steve’s is an auto repair shop that’s been providing expert-level care to import cars for more than forty years. Our team of ASE-certified (Automotive Service Excellence) vehicle technicians run the gamut of car services and deliver customer-focused quality. From engine and transmission rebuilds, to routine engine maintenance and body work, the team at Steve’s has done it all. No matter what your car’s story is, our team of professional mechanics possesses the knowledge and tools to get your import car rolling again. 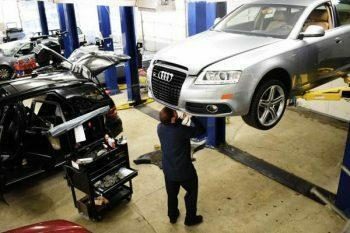 While our techs always love to wrench an engine back to life, running a full-service repair shop means that we also provide the same level of attention to restoring a vehicle’s aesthetics. Whether it’s due to age and normal wear-and-tear, or the result of an accident, auto body work can be just as pressing to getting a car road-ready as an engine that works. Whether your foreign car needs a new engine component, repairs following an accident, or everything under the sun, roll it on in for an unmatched level of care. Our certified mechanics will look at the vehicle for free and determine what it will take to get everything back in top shape. Every member of our team operates with full transparency and encourage questions every step of the way. With us, you’ll know everything that’s happening with your car and why it’s being done in the first place. We stand by all the work we do and back everything with a guarantee and extensive warranties. That means, if the repairs to your foreign car aren’t living up to your expectations, we’ll do everything we can to make things right. But with over 40 years of satisfied customers and revitalizing every kind of import vehicle, we’re confident that our high standards will be aligned with yours. For expertise that you can count on, give a call to the guys at Steve’s Imports today.